In Blois, we happened to see a beauty contest at the local castle. The contestants clearly had not done their Pilates and looked actually human. 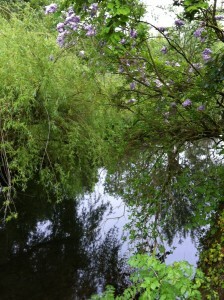 In Bourges, we spent a rainy May Day sitting at a cafe sipping from a pichet of vin blanc.. 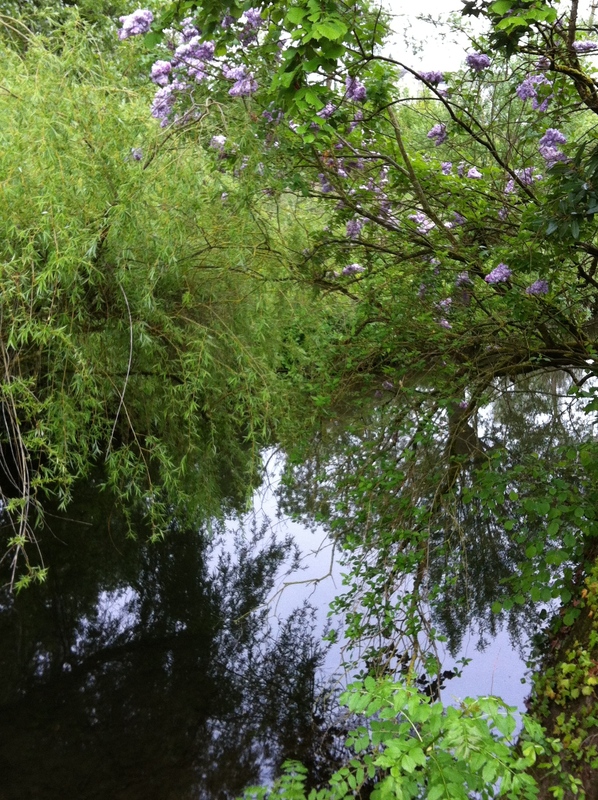 Nothing, I thought, can go wrong in such a verdant setting. Breast lumps, please! For years, I’ve drunk daily liters of polyphenol-rich tea, waxed lyrical about about tai guan yen versus dah hong pao, avoided sugar and anything hinting of nitrates.I’ve been a regular at yoga and tai chi and read and reported about the anti-cancer properties of green tea, black tea, red tea. A few years ago, I covered the 5th Scientific Symposium on Tea and Health, where a lot of the papers were on tea and cancer. From a lifestyle and academic perspective, all the boxes were checked. I’ll spare the details. Suffice to say that the not-to-worry cyst turned out to be stage 2-3 invasive cancer. Thus began my odyssey into the hazardous world of cancerland. Poor Adeile died of multiple myeloma, a plasma cancer. Was I destined to be the Adele Davis of tea without the fame? What about treatment? After a lifetime of healthy, no-junk food eating – even when it wasn’t fashionable; after decades of scoffing at any ingredient I couldn’t pronounce, was I going to become infused with scary chemo? What do you do when doing nothing, according to the oncologists, means death? What do you do when a sympathetic oncologist goes into a rather lyrical description of drugs you can take to lessen the pain of dying? Or another one goes into quite gothic prose to describe the horrors that await those who Do Nothing? Cancer upended more than one life. Fluent French daughter started packing up to come home, wherever that meant in her whirlwind life. A friend, an artist of some renown who I have known for years, actually took to her bed for three days– and then became a rock of support. 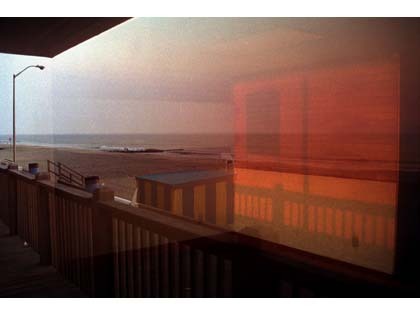 Others – strangely relatives – spun horror tales and became very busy. If you are still with me, stay tuned for what happened. But circa 2017, I’m still around . 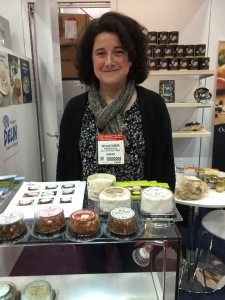 Nathalie Barbier of Fromagerie Delin at the Fancy Food Show in SF. 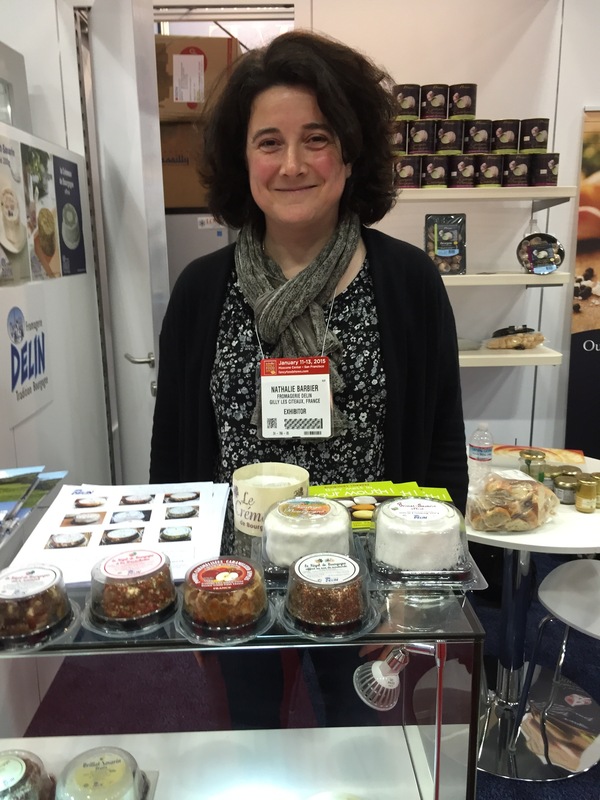 If anyone needed proof, a stroll around the French pavilion at the SF Fancy Food Show was testimony to the tradition, skill and care of French cheese makers. Here are a few: From Bourgogne between Beaune and Dijon, comes Fromagerie Delin’s line of meltingly runny, slightly tangy and utterly deliciously creamy bries – some with an herb coatings — that relegates all those rindy, spongy “bries” to cheese purgatory. Sold under the label Brillant Savarin (after the famed French gastronome who wrote The Physiology of Taste), the cheese was developed in 1930 in Normandy; production later moved to Bourgogne. 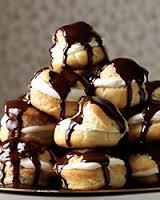 It has a soft creamy texture, slightly tangy and sweet nut-like taste and should be eaten young and fresh. Other labels in the line include Regal de Bourgogne, Cremeux and Prestige (in Canada). Packaged in traditional rounds as well as small vacuum-packed tubs, they are enriched with creme fraiche and have a texture that literally melts in the mouth. 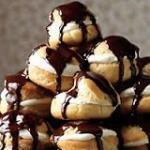 Try this with a full-bodied darjeeling or tie-guan yin oolong. Surprise: You can buy it at Cosco as well as Whole Foods. 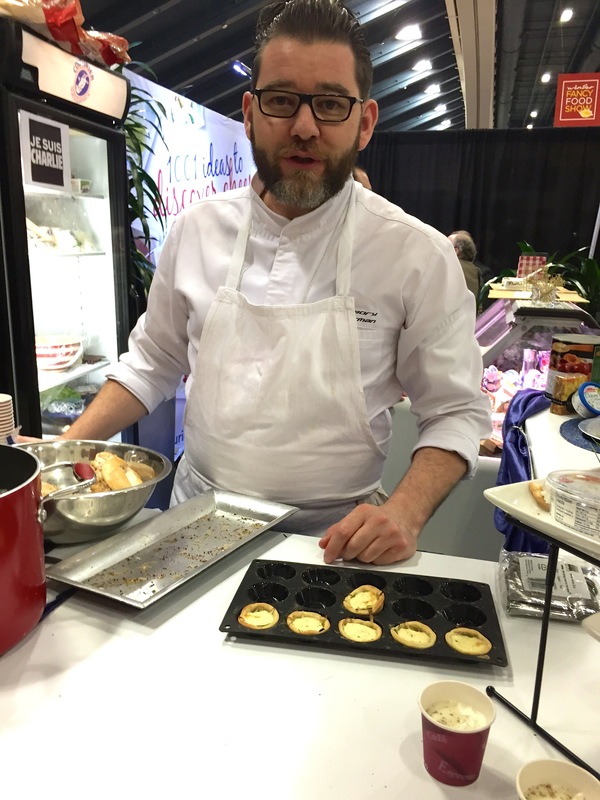 A delicious chèvre tart was on the menu at the Courturier booth where French chef consultant Gregory Corman (right) expertly julienned leeks for a tart with goat cheese. 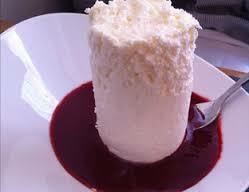 Many of the smaller Courturier chèvre logs are made in Hudson Valley; larger, ripened ones are imported from France. Try plain or with herb dusting. The tart is perfect for a savory tea. Courturier cheeses are sold at Molly Stone and at Safeway, yes, Safeway, among other stores. 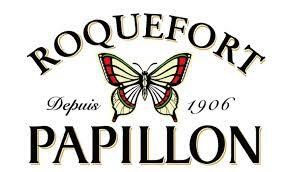 From the limestone caves of France comes Roquefort – tangy, veiny, without the overpowering taste you might have been put off by in the past. It’s the specialty of Papillion Black Label that’s been around since 1906. The process uses its own baked rye bread to cultivate Penicillium Roqueforti, which gives the Lacaune sheep roquefort its unique taste that’s assertive, complex and literally melts in your mouth. 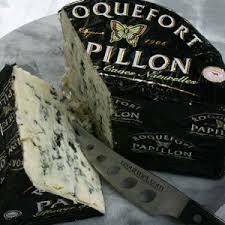 If you’ve been put off by roquefort, but are still intrigued, try the one from Papillion. 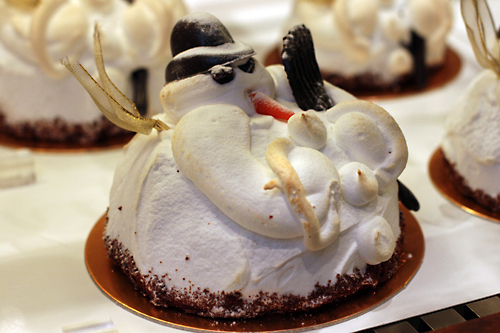 Pair with a strong tea- pu-erh, rock oolong, or Assam. Papillon is sold on Amazon and fine cheese stores. So what’s new? Caramel everywhere and of course seas of gluten free everything. Salted chocolates seem to have reached sodium saturation. 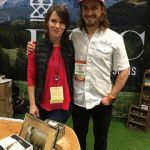 But what stood out at the huge fancy food show in foodie San Francisco were both the old-timers whose time may have come and a plethora of young-uns with good ideas and products. What goes with tea? How is your imagination treating you these days? 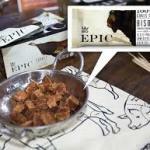 How about an Epic meat bar – specifically a turkey/cranberry or lamb/currant mint or habanero/cherry bar made from grass-fed animals with ingredients you can actually understand. And no soy. No sugar. No nitrates. 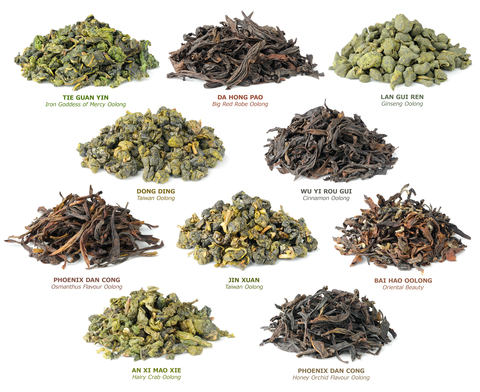 Think about pairing with a full bodied oolong or perhaps a strong black keemun or even a milder darjeeling. These are tastes that call for bold pairings. 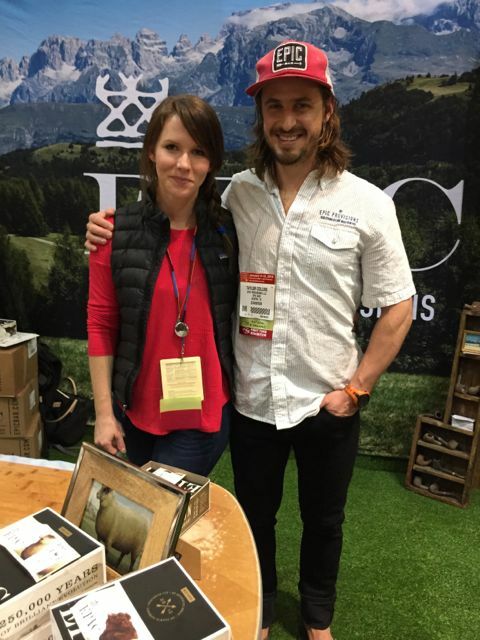 Based in Austin, Texas, the company was started a year and half ago by Katy Forrest, a ironman athlete and Taylor Collins, a triathlete, two competitive – and vegetarian – athletes, who, after trying a variety of diets from vegan to raw – found their energy waning, their performance lacking and their recovery time waning. They had already founded Thunderbird Energetica, a line of vegetarian protein bars. 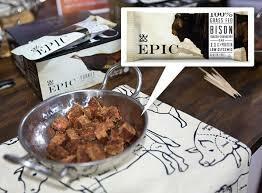 But when they found that protein in the form of meat transformed their energy level and performance, Epic, the meat energy bar was born. Even if you’re not planning on running a marathon, a turkey/cranberry bar cut into cubes makes a great addition to a savory afternoon tea. Low fat muffins may be more conventional tea fare, but for flavor and taste, Simple Mills, a new company out of Chicago, makes an innovative baking mix that is not only low in calories, but is also gluten free, has minimal sugar and additives – and is also very tasty and no-fuss. Just add oil, water and eggs, and bake for 20 minutes. 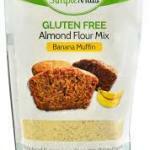 Ingredients include almond flour and coconut nectar for sugar. Founded by a young biology graduate of University of North Carolina, who saw a need for a healthy, no-additive, no wheat muffin, flavors include banana, chocolate, pumpkin, chocolate chip, and focaccia and sandwich bread mix. Katlin Smith (left) was working in Atlanta as a strategy and operations consultant with Deloitte when, suffering from joint pain, she changed to a gluten and dairy free diet. But scouring supermarket aisles for healthy food became an exercise in frustration. Soon Smith, an petite, energetic and can-do entrepreneur began experimenting with recipes. 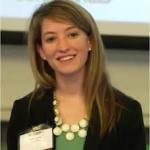 After a lot of trial and error – she also took chemistry at UNC – Simple Mills as born. Starting out by herself, Smith rented a test kitchen, did all her own mixing and packaging, and was on her way. 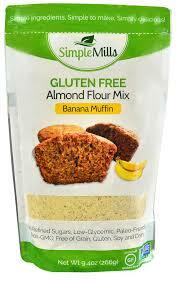 Her product is not only healthy, but moist and flavorful without the aftertaste of a lot of additive-laden mixes. Today, Smith has eight employees and is carried by Whole Foods online at Amazon and also in 500 stores nationwide. Stay tuned for more from fancy food show…. 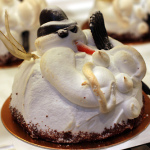 With rivers of butter and clouds of whipped cream everywhere during the holiday season, think tea. First, tea can’t make you lose weight if you overeat. Period. Also, while the literature is stuffed with mice losing weight on green tea, the data on humans is a little less fetching. So let’s skip the scientific in vivo and go to people. 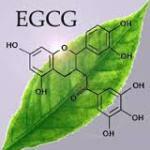 EGCG or eppigallocatechin catechin gallate is a powerful antioxidant and is what gives tea and in particular green tea – its health punch in fighting weight gain, controlling diabetes, lowering cholesterol, and diminishing risk factors for cardiovascular disease. There is more EGCG in green than in black and or oolong, which are oxidized and as a result have more thearubins and theaflavins. This is what gives black and oolong tea its color and deeper flavor. 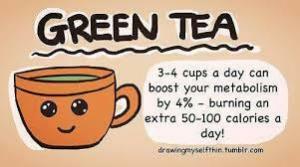 Another study, a mega-analysis by Netherlands researchers noted that consistently drinking green tea could result in burning off 100 calories over a 24 hour period. In this study, the results – i.e.l weight loss – were more pronouced for Asian than Caucasians. 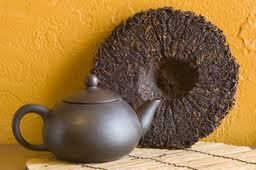 Oolong Tea: According to Chinese lore, oolong can, among its other health properties, control weight gain. Popular knowledge is that it increases metabolism and gets rid of fat faster. In a 2009 study, 102 obese or overweight men and women were given 9 grams a day of oolong tea. After six weeks, 70% lost more than a kilo. Equally important, subcutaneous (fat under the skin – usually belly fat) decreased on an average of 12%. In another study, renown physiologist William Rumpler at the US Department of Agriculture focused on how oolong affects weight control. In his study, twelve men were given either full-strength tea, colored water with the same caffeine as full-strength tea, half strength tea or colored water. 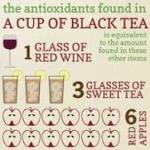 Researchers found that the volunteers who drank oolong burned an additional 67 calories a day. 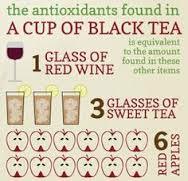 Interestingly, fat oxidation was 12% higher with the tea drinkers, the same as was found in the previous study. Black tea: Since black tea supposedly has more caffeine than green – which is up for debate – many think it’s the caffeine that is responsible for weight loss for black tea drinkers. But studies have shown that drinking black tea can lower blood pressure and reduce bad cholesterol while not affecting HDL, the “good” cholesterol. Pu-erh: Ah, the fermented/aged/little understood drama tea. While some herald its unique taste, others say it’s a little too earthy. Some pu-erh has sold for epic amounts: legends abound about its unique qualities.Some liken its dark full taste to a great pinot noir and herald its health qualities. 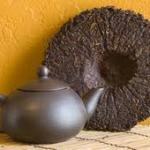 According to WebMD, pu-erh has small amounts of the chemical lovastatin, prescribed for lowering cholesterol. Among aficionados of dim-sum, pu-erh is known to be the perfect fat-busting drink of choice. So whether your taste turns to green,oolong,black or pu-erh, drinking tea during the holiday season will help keep that winter coating of pounds off.